The Pickens County Sheriff’s Office has located and arrested the inmate within the past half hour that escaped from the Pickens County Detention Center earlier this morning. 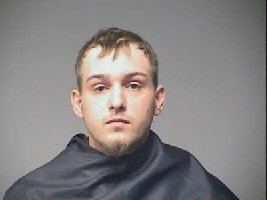 A deputy located Jonathon Ray Jefferson Neal (24yoa) at a residence on Hwy 8. After a brief foot chase, he was taken into custody without any further use of force. He was transported back to the Detention Center where his status will be upgraded from a minimum to a high risk security level. He now will face the additional charge of Escape. Statements made by Mr. Jefferson Neal to the arresting deputy indicated that the motivation for his escape was merely to see his family. “The residents of Pickens County are fortunate to have the caliber of deputies that work for the citizens at the Pickens County Sheriff’s Office. The tenacity and commitment displayed today by our personnel to locate and return this man to justice so quickly speaks volumes in regards to their efforts and service to our community. The Pickens County Sheriff’s Office was requested to provide assistance to the SC Highway Patrol in reference to a suspicious person on the Doodle Trail near Rice Rd in Easley. The incident occurred Tuesday, June 12, 2018 at approximately 7:15pm. Deputies arrived on the scene and interviewed an adult witness (33yoa) who stated that she was riding a bicycle on the Doodle Trail when she observed another adult male riding a bicycle. The male attempted to speak to the female but she was unable to understand him due to a language barrier. The witness came to a stop on the trail as the male continued to ride on down the trail. A couple of minutes passed as the male rode out of sight. The witness proceeded on down the path on her bicycle and as she proceeded around a curve, she observed the same male standing on the side of the trail facing the wood railing and urinating towards the wooded area. The witness observed a SC State Trooper and flagged him down in order to report the incident. Deputies attempted to interview the male (23yoa) but also experienced difficulty in communicating due to the individual did not speak English. Deputies accessed a language, assistance line that allowed them to communicate with the individual. The male stated that he did not have access to a restroom and that no one was around when he started to urinate. 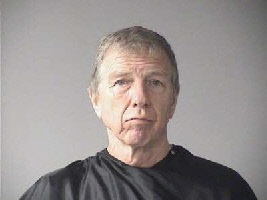 Deputies contacted a Pickens County Magistrate and presented the facts of the incident. The Judge stated that the activity did not meet the statutory threshold for a criminal violation of Indecent Exposure as the conduct lacked the elements of willful and malicious intent to offend others. 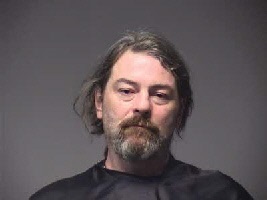 The deputies did not see any indications that the male was under the influence of alcohol or any other drug. Reports on social media describing circumstances of a male intentionally exposing himself while in a state of arousal are unfounded based on the information provided to deputies and the information provided in a sworn statement from the witness. The Sheriff’s Office has not received any other reports of similar activity on the Doodle Trail.